February is a month known not to have the best weather. 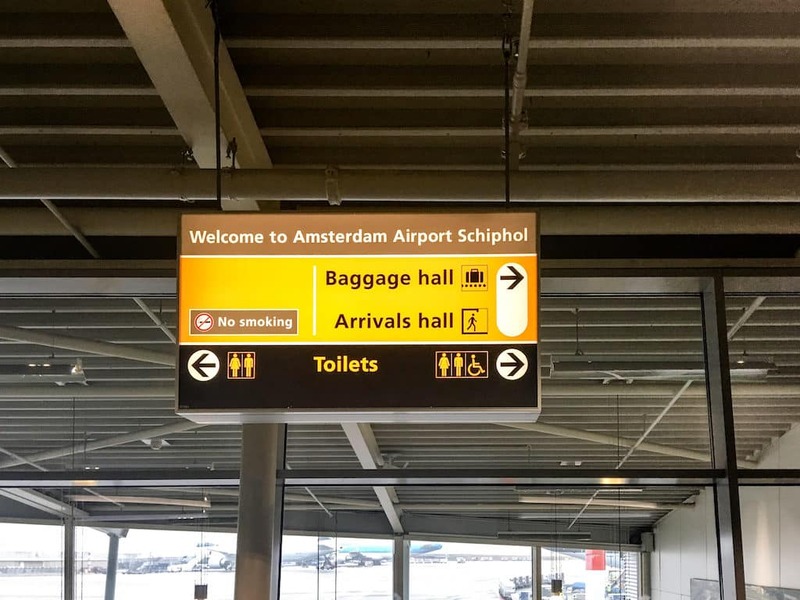 I don’t care how interesting the potential review is that I’m heading towards is, the concept of flying through torrential rain and storms doesn’t really fill me with joy. 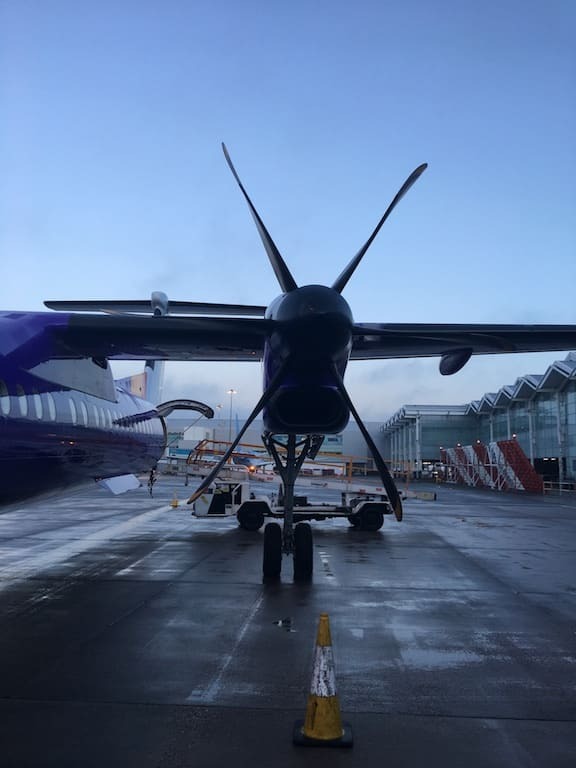 So whilst I was very glad that, when it actually came for me to board the plan to the Netherlands, the weather had cleared wonderfully – my concern about flying wasn’t greatly improved when I saw my plane had PROPELLERS! 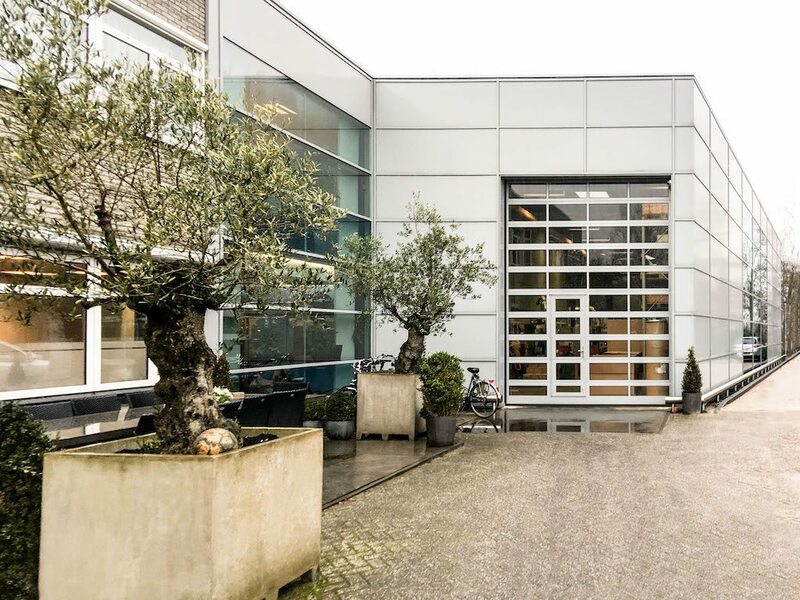 The Tacx factory is located in Wassenaar, near Amsterdam and is frankly a strangely deceptive building when seen for the first time. You turn onto what appears to be a small industrial estate off the side of the main road. There is no major fan fair, no imposing edifice to cycling and the technology developed here. Just a grey building with a few offices attached surround by a few trees and bordered by a lawn. To be fair, I’m not sure exactly what I was expecting, perhaps something more in Tacx baby blue! The statement that “Tacx company is very much a family business”, is strengthed by the active employment of 3 generations of the Tacx family. 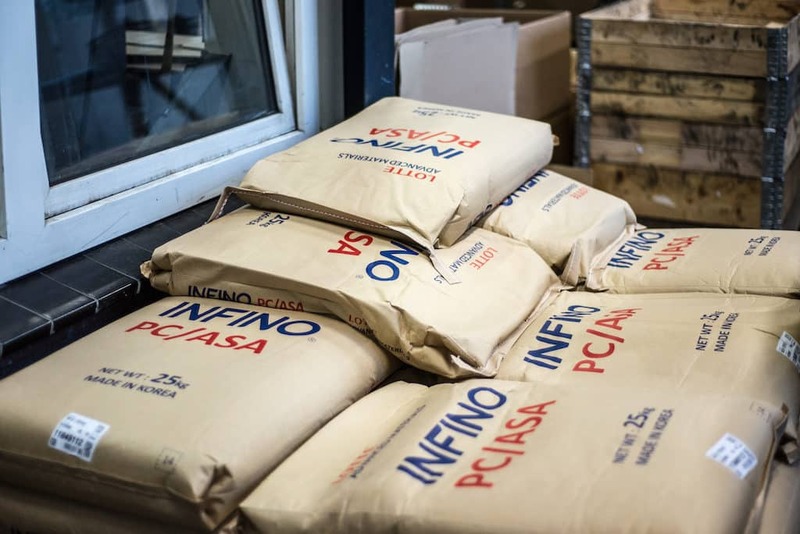 In turn, when the youngest members of the family have come to work at the factory, they have invariably brought with them university friends who have shown dedication and flare in the areas of design and engineering. As such, the company as a whole has a very genuine, very real feel to it, which is reflected by the people I had the chance to talk to, and in the factory building as a whole. There is no major grandeur to the operation here. 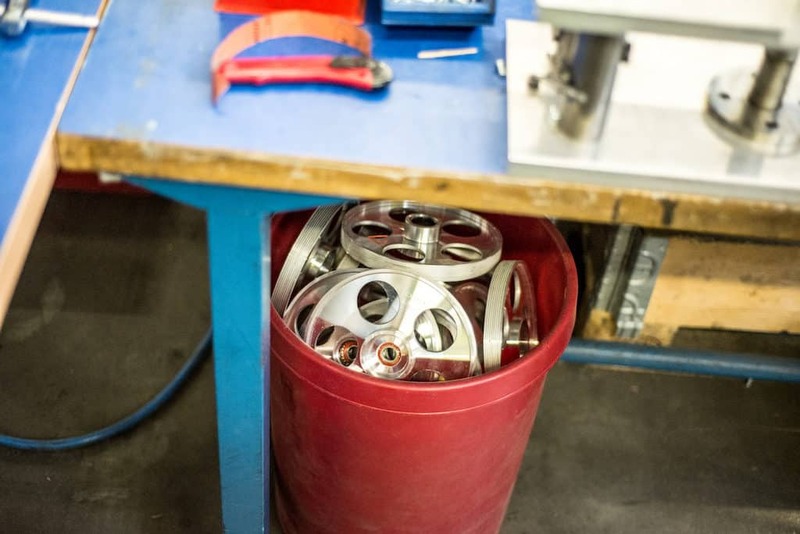 This is a company that appears to be steadfastly focused on progressive engineering and dedicated on-site production. As such, they don’t have much time for ostentatious displays. 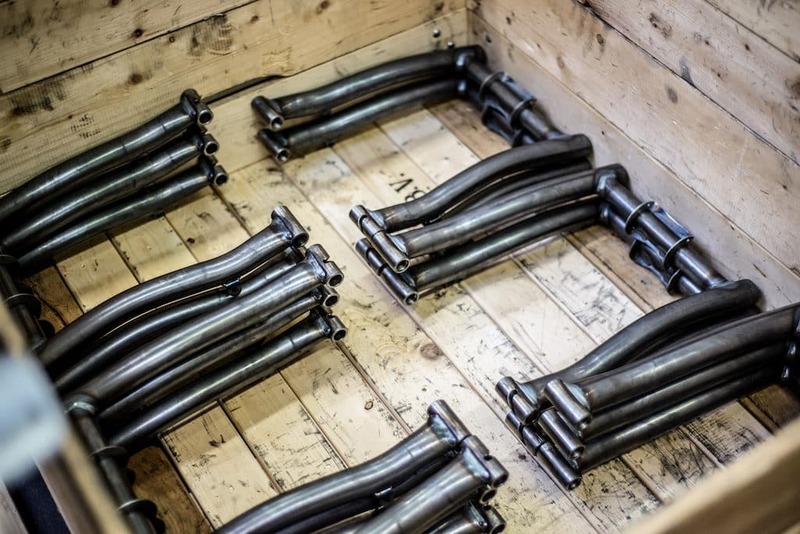 That in-house production is something that Tacx is very proud of and very keen to protect. 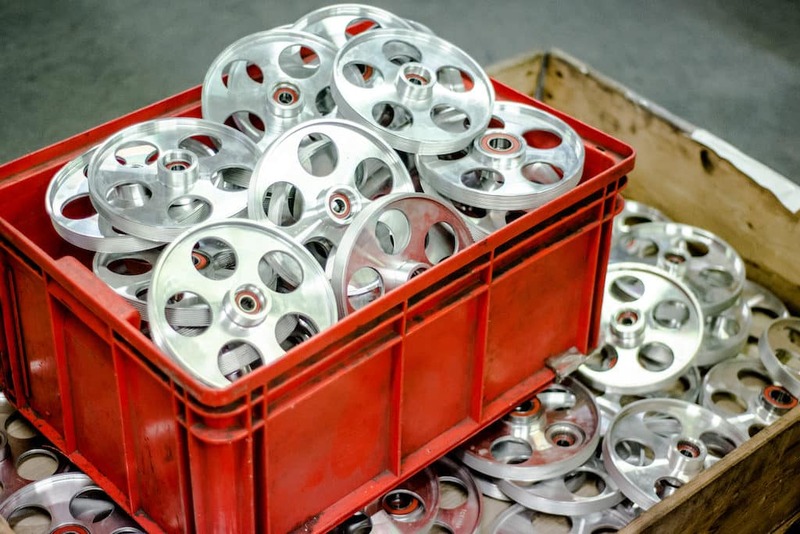 The company has certainly considered production facilities in the Far East but is drastically put off by the impact on responsiveness which comes with a global production network in spite of the calculated reduction in over head costs. 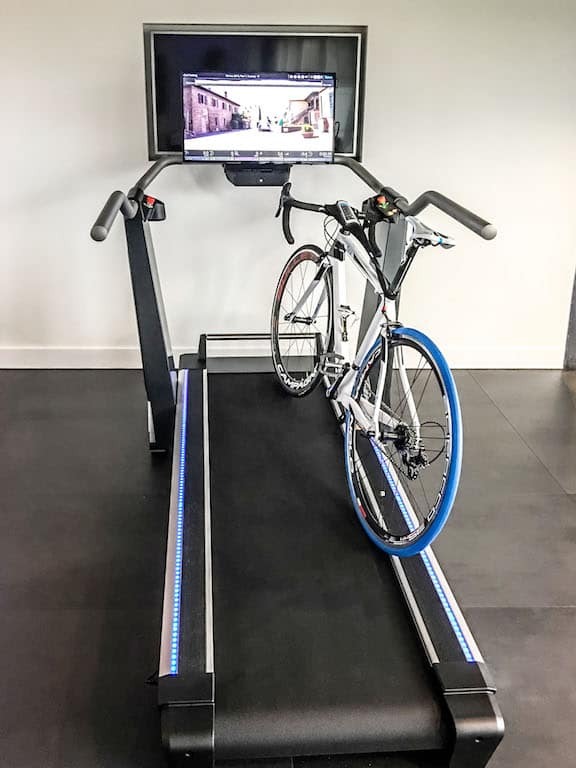 The Tacx products are completely in-house creations. 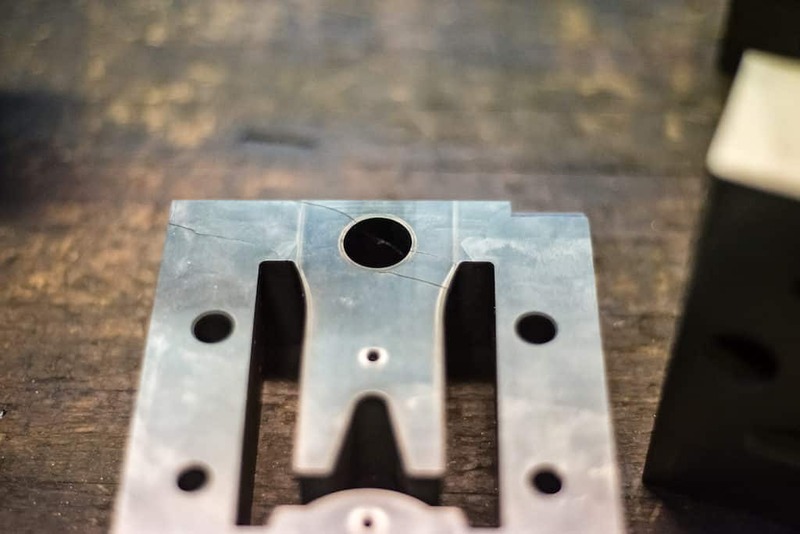 Every step from concept sketches, to formal design, and prototyping; through the mould designs and on to product manufacture. All are kept in-house. 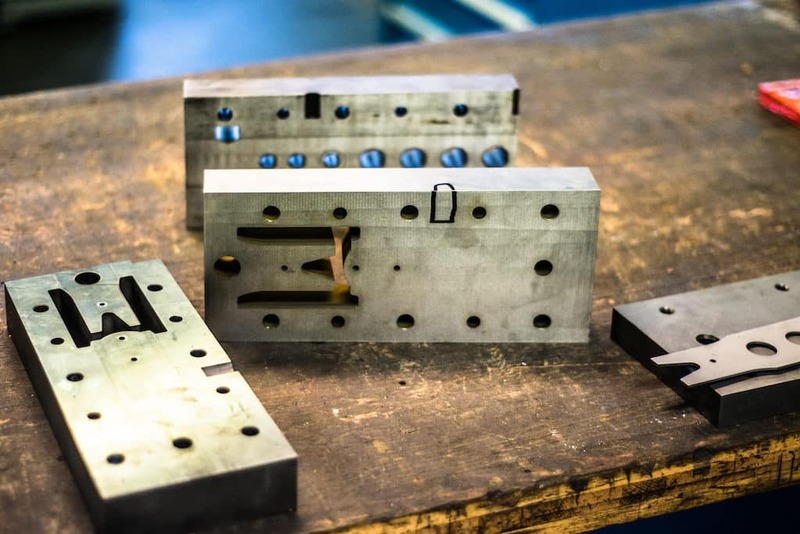 With engineers developing portfolio careers in-house, being able to list hundreds of moulds and components they have created over the years. 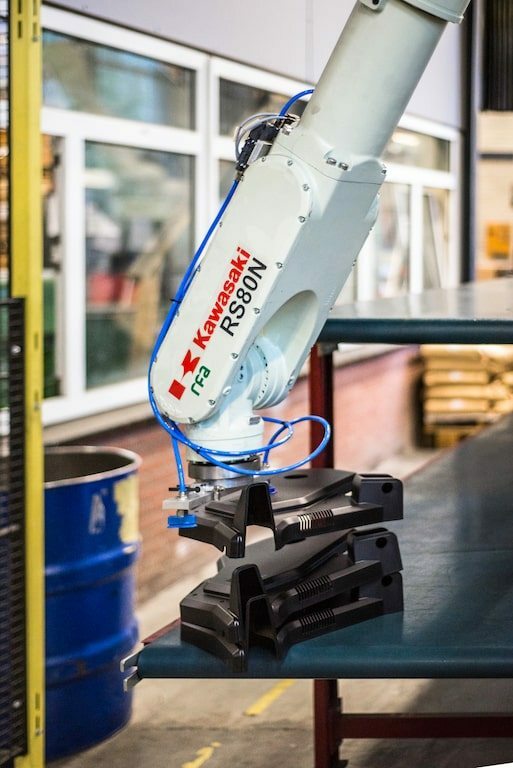 In other companies, resolution of this component failure would involve an external contractor coming in, and approx 72 hours of downtime as a replacement mould is produced. 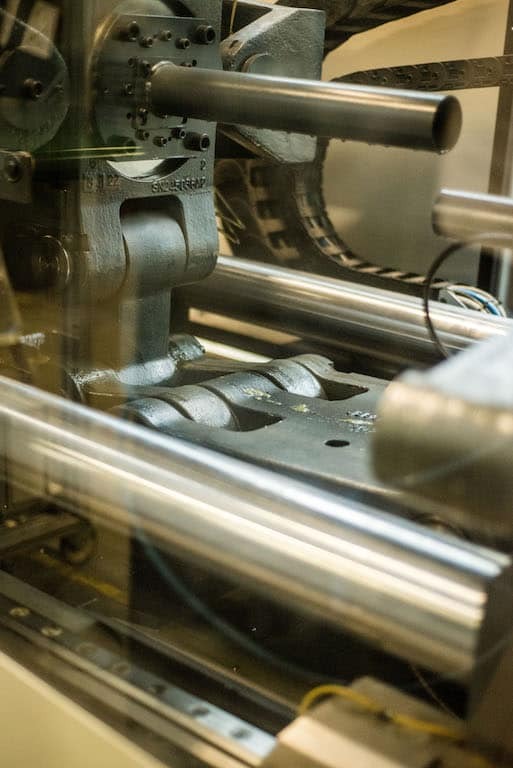 At Tacx, a new mould was fabricated in house, and the machine was ready to resume production again with a shut down of only 12 hours. It might sound daft, but in many ways being shown around the factory, with freedom to talk to anyone, and photograph anything, the trip almost became an art project! 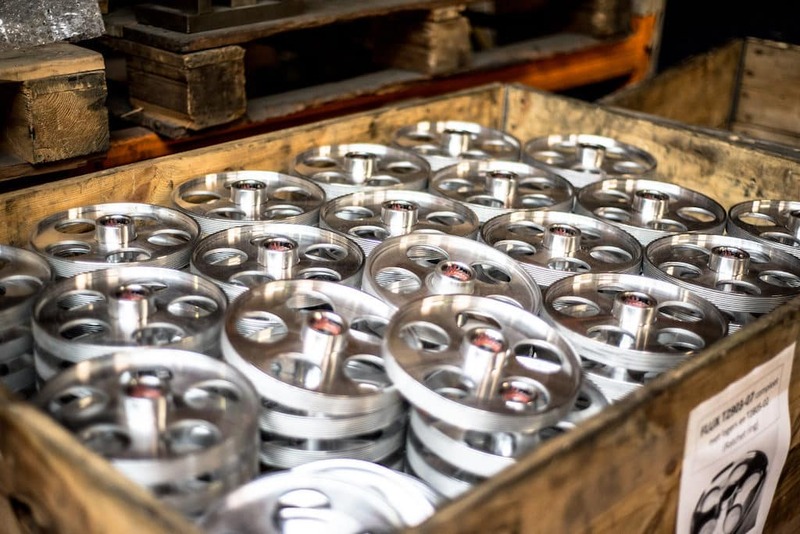 Trust me, if you ever get the chance to go around ANY factory with a camera – do so! Here is a little something for you to ponder for a moment. As we entered the plastics part of the factory, Sven was keen to show off a hopper containing black, hard beads. Can you guess what this is? Those pellets are the raw essence of Neo and Flux trainers. The very base material which will be turned into the structural plastic sides. 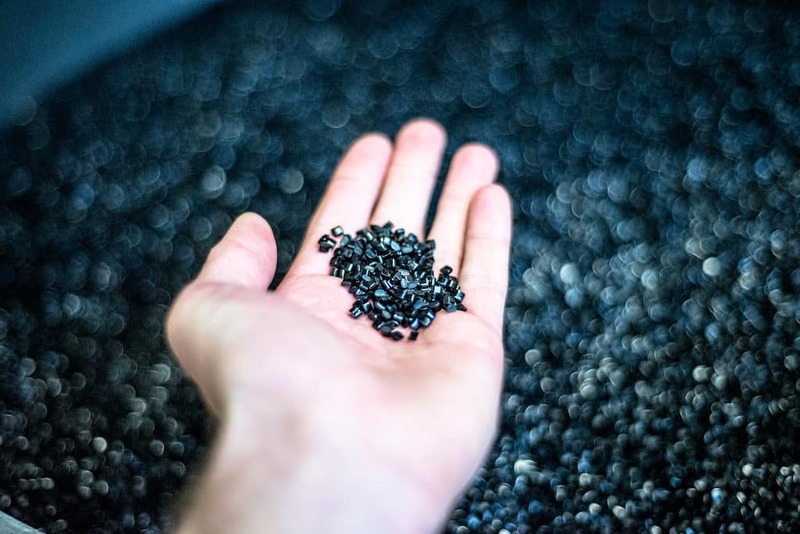 The black pellets are actually made by Samsung and are the same material which riot shields are made from. You can’t just walk into B&Q or HomeDepot and buy this stuff. It has a very limited number of licensees. 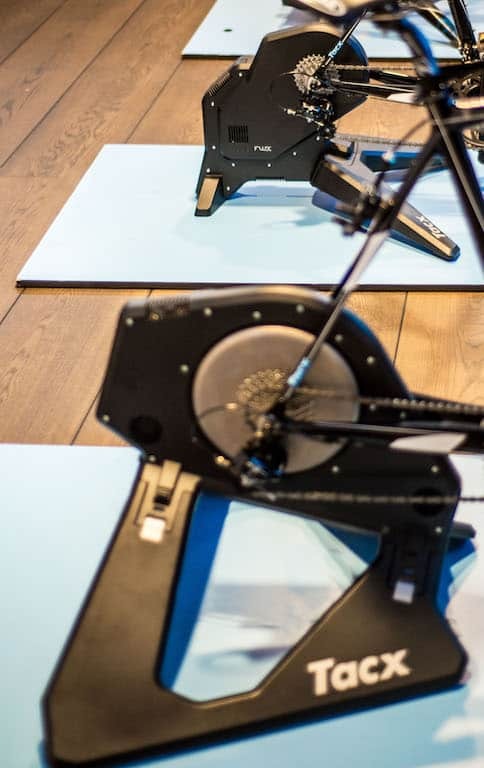 When I first reviewed the Tacx Neo, I wasn’t a great fan of the sway that the unit had, not being certain if it was a feature or an oversight in the plastic materials used. 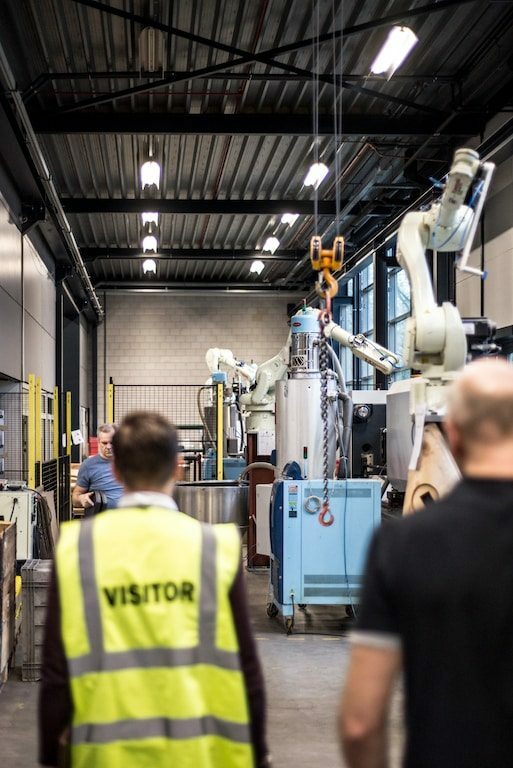 It was explained to me on the visit that the 5 degrees of flex into the Neo was not only intentional but actually took their engineers time to find a material which had the flexible properties they wanted for the Neo, without compromising in structural rigidity or compressive strength. All the resins are compression moulded. Utilising massive industrial articulated knee presses to force the materials into desired shapes. Looking at the huge hinges moving forwards and back, I couldn’t help imagining the workings of an ocean liners engine room. 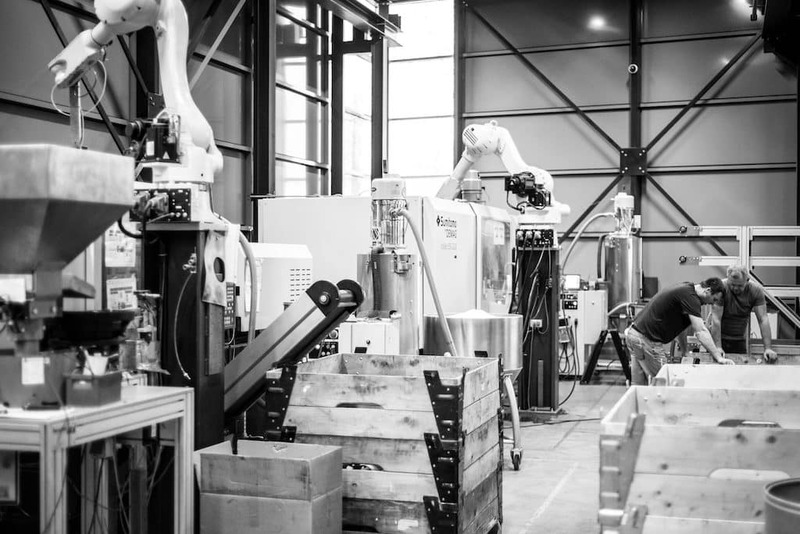 Following the intense loading pressures, the machines move in an oddly quiet fashion back from the press. I was surprised, in the most mechanised part of the factory there is no need for ear defenders, something which took me about half-way around the tour to realise. 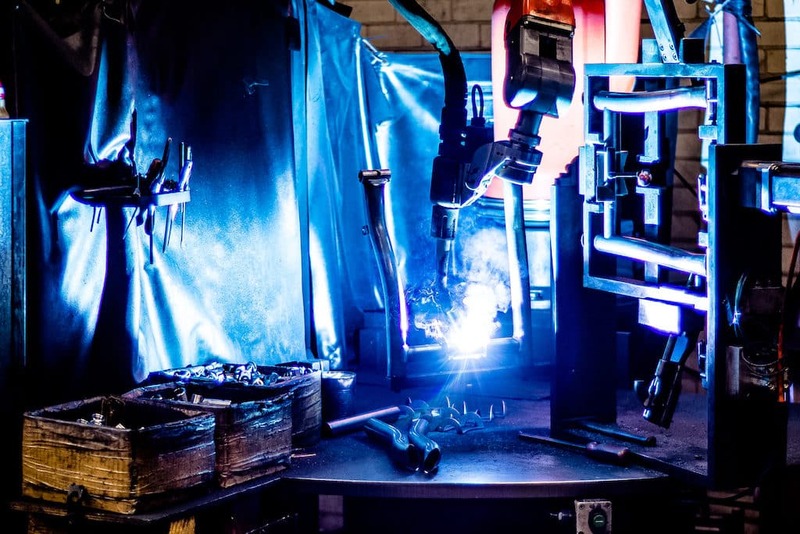 I appreciate it is going to sound very cliche, but actually watching the robots work, whilst welding, and moving tubes, or just pulling the components out of the massive presses before stacking the components with care was quite mesmerising. It is simply an elegant dance. I UNDERSTAND the these are just programmed movements, in a known environment, to precise measurements. BUT the little boy who still lives inside me, the one who sat on building sites watching excavators carving out the earth for new housing estates, was still mesmerised by their arcs and turns. There was almost something caring in the way the arms would slow down before gently releasing their cargo onto stacks. I’m sure for the people who work in the factory it all becomes very “normal”, very quickly. But for a chap who spends at least half of his time dealing with bodies and things which go *squish* when poked, it was an impressive show. So there we have it, massive pressures, clever materials and a little robotic dance to bring you a fresh side of Flux. Best served on a bed of hot Zwift laps! 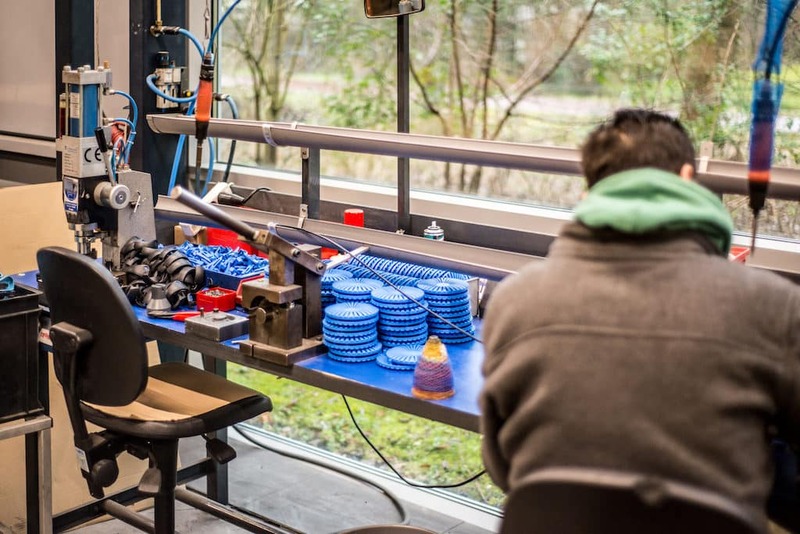 As the Tacx factory is currently at maximum capacity, they cannot manage to produce products fast enough for their order books, questions about efficiency are constantly being thrown around. 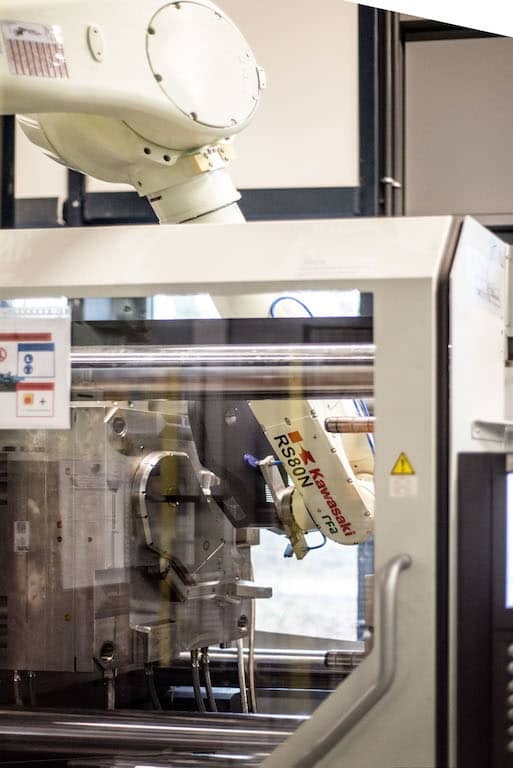 With all available factory floor space full, and machines working at max capacity, until a possible new factory extension is completed, Tacx is limited to trying to optimise an already streamlined manufacturing process. 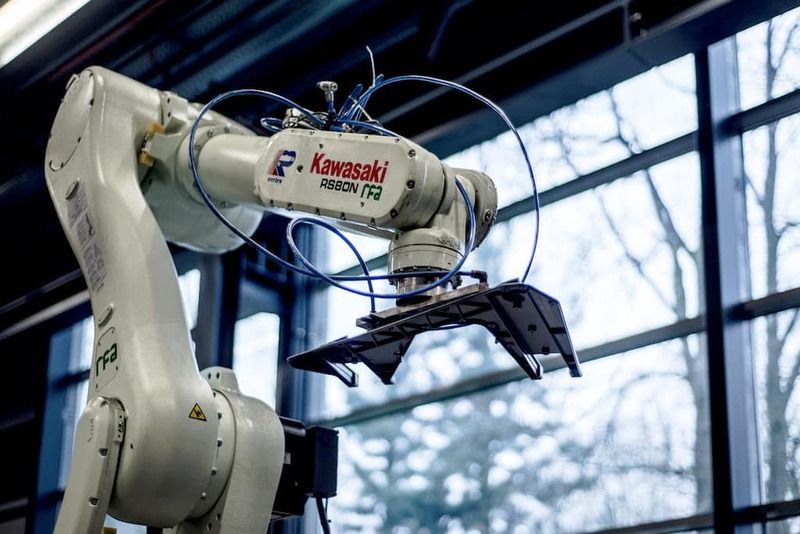 The automated machines can be set up to run programs with minimal human input, allowing the factory to continue to produce components 24hrs a day seven days a week. 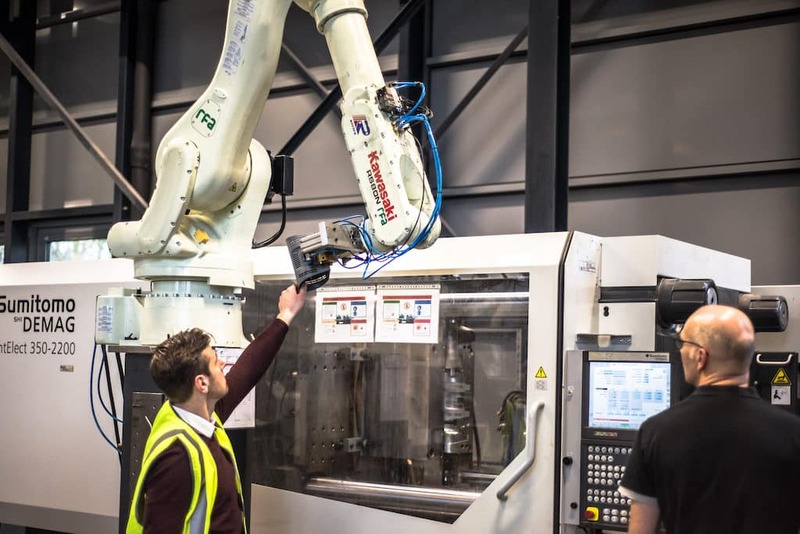 However, the machines still have to be paused and re-tasked to produce other components whilst there is not space for a series of single component dedicated machines. Still, excess demand must be a lovely problem to have! 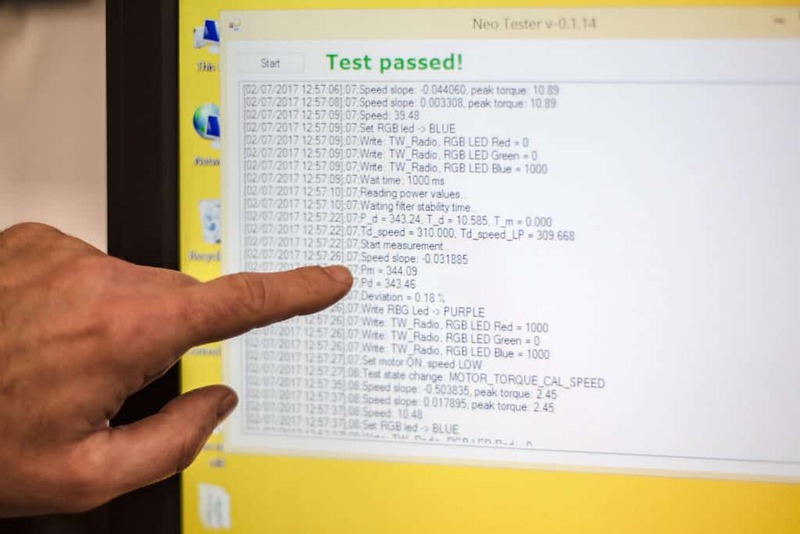 That said, I cant imagine that having a stream of Zwifters trundling through the factory over the last few weeks asking “What are your quality control checks?” and the machines being stopped to demonstrate, actually helps. Still, it does suggest that Tacx is very open regarding their spot checks and current QC procedures, which they went into in a lot of detail for me. As mentioned, Tacx has a big emphasis on controlling the whole industrial widget. 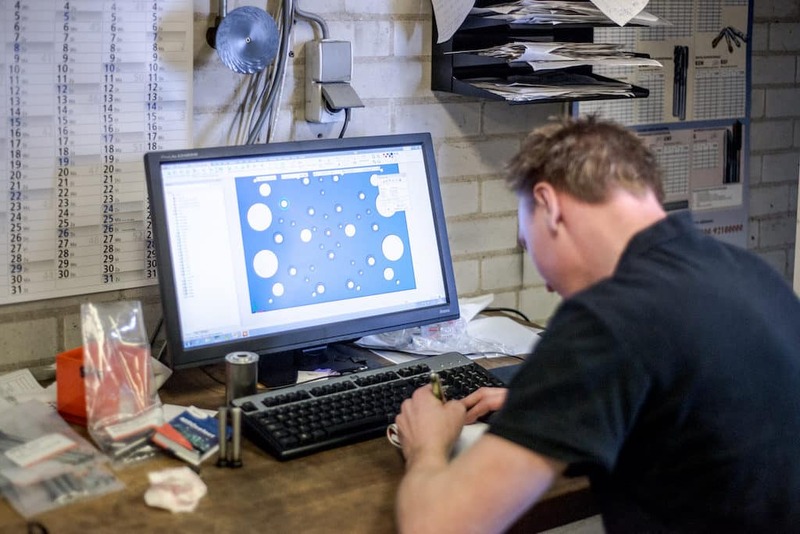 As such 95% of all components which Tacx uses in their products are built in-house. 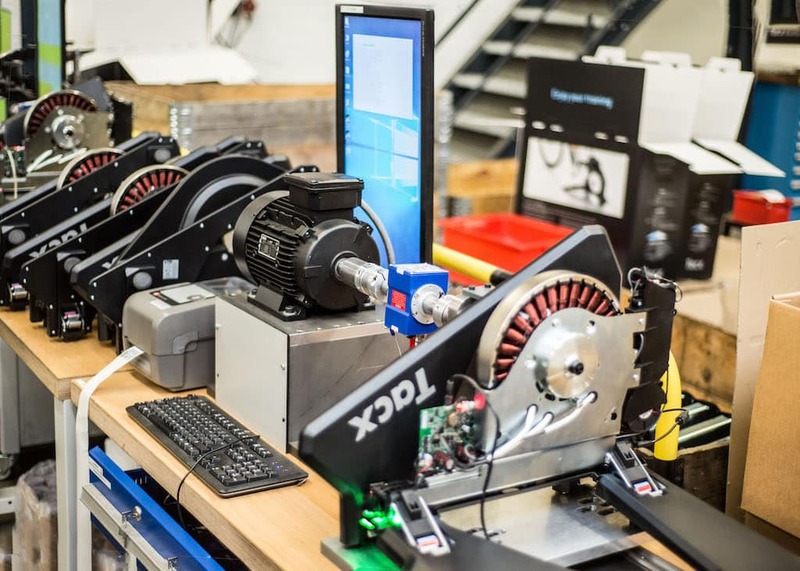 So it is to the significant anger, frustration and disappointment of the Tacx design team, that the issues experienced on some Tacx Flux units were due to one of those externally sourced components. Namely the Tacx Flux flywheel. 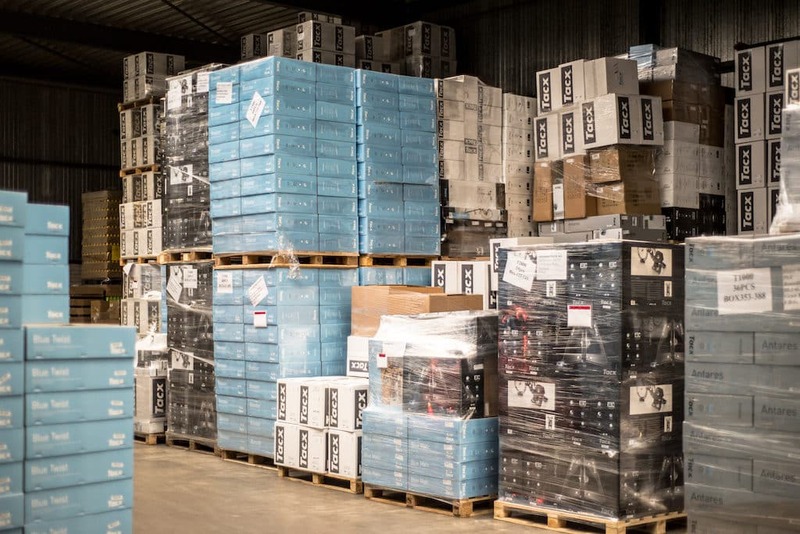 I was genuinely surprised to see crates of flywheels marked with “Niet Goed” – i.e., wheels which have failed Tacx’s highly stringent internal checks on these external components. 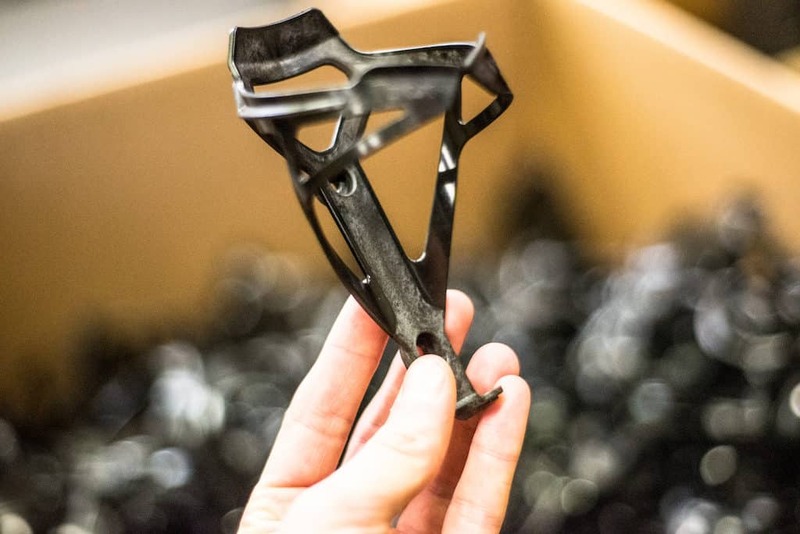 It is much to Tacx’s chagrin, that they are not able to manufacture these components in-house currently. But I would not be surprised to hear they are actively looking at what would be required to do that! Just to clarify Martin’s point with a picture. 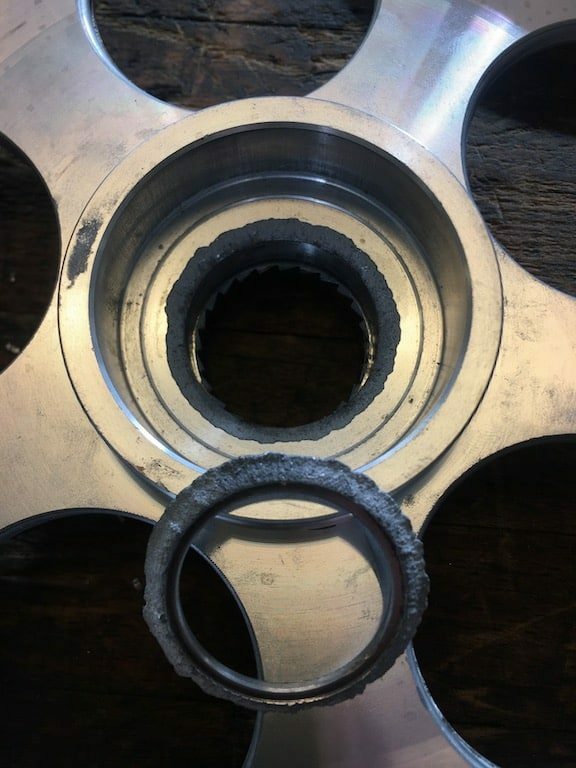 If the bolt on the Tacx Flux flywheel is overtightened during assembly, in the presence of injection moulding defects in the flywheel, those cracks propagate when you put significant wattage through the cassette, over time this results in more cracks, and well, the wheel falling off! 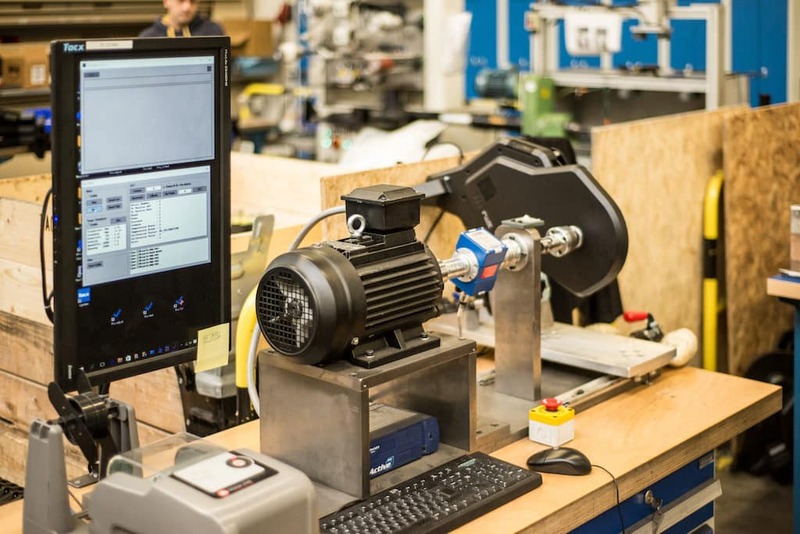 As a result of these findings, Tacx now rigorously test both the flywheels themselves, in addition to every Tacx Flux before leaves the factory. No unit is given a serial number until it has been tested. This is thought perhaps to be one of the reasons for failures seen across a range of serial numbers. As the serial numbers do not relate to production order, but test orders. 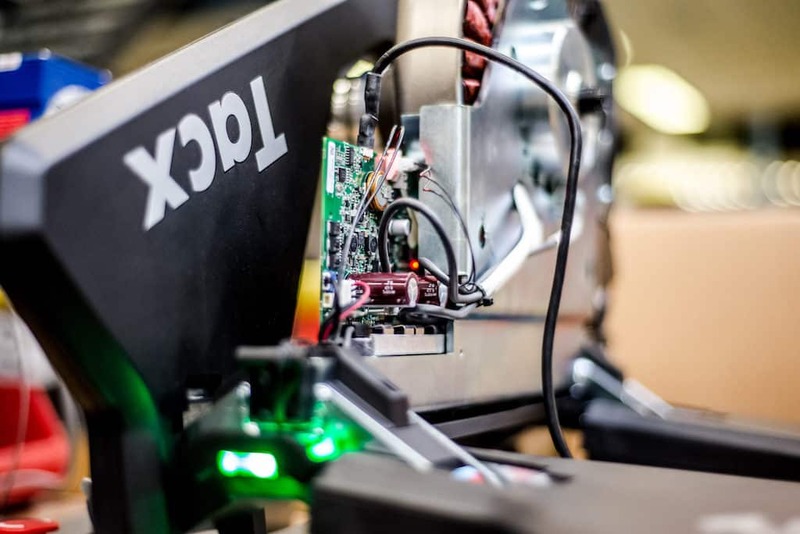 Apparently, the largest wattage they have forced through the Tacx Flux is 8000 watts, at which point rather that seeing an issue with the fly-wheel, the drive belt snapped…Which given the unit and components are rated for 1500 watts, I think is a reasonable failure point! Whilst at the factory, we discussed the accuracy of the electromagnets inside the Flux. Given that there are only eight magnets in the Flux, vs. the 32 which live inside the Neo, I wondered if that was the limiting factor. Martin explained that the difference in the accuracy is not related to the magnets, but more the belt system, vs. the electromagnetic brake on the Neo. Martin was very keen to show the testing of the Neo before they leave the factory. Whilst discussing accuracy, I commented that Elite is trying to target a 0.5% accuracy with their optical strain gauge on the Drivo, and could the Tacx Neo be made more accurately? So why the 1% accuracy choice? Martin explains that is was simply a PR decision. Apparently, a trainer that has a higher wattage is viewed as better, than a trainer with a better accuracy. So 2000watts was proclaimed on the Tacx Neo box, and the accuracy given for at that level. Martin brims with stories about the Tacx Neo design process. 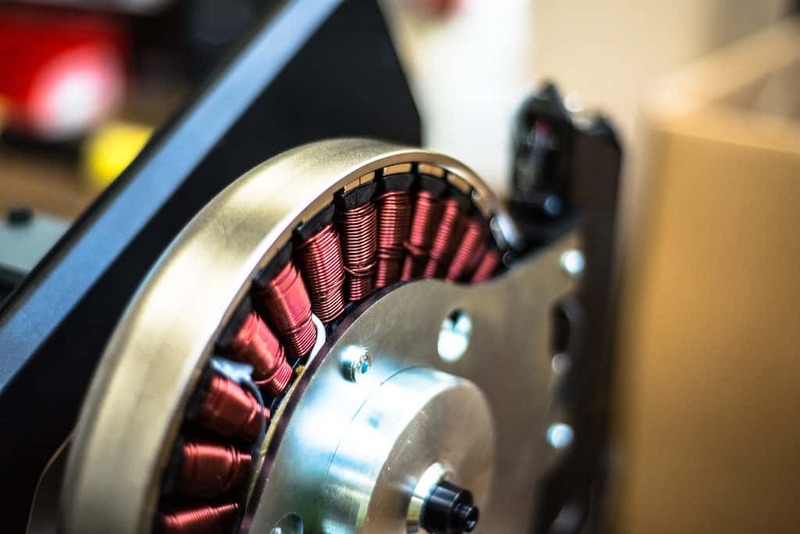 Utilising in-house engineers and having close links with the Universities in the region Martin’s team were able to master the eddy currents present within electromagnetic coils used in the Neo to give both the generation of power, but also the exceptionally responsive resistance controls. One area that causes Martin to show the pride in his team of engineers with the time it took to build this unique turbo trainer. Processing from a blank piece of paper, to the finished product in only 18months. They attribute this rapid turn around, due to having the whole of the design and production team in-house. 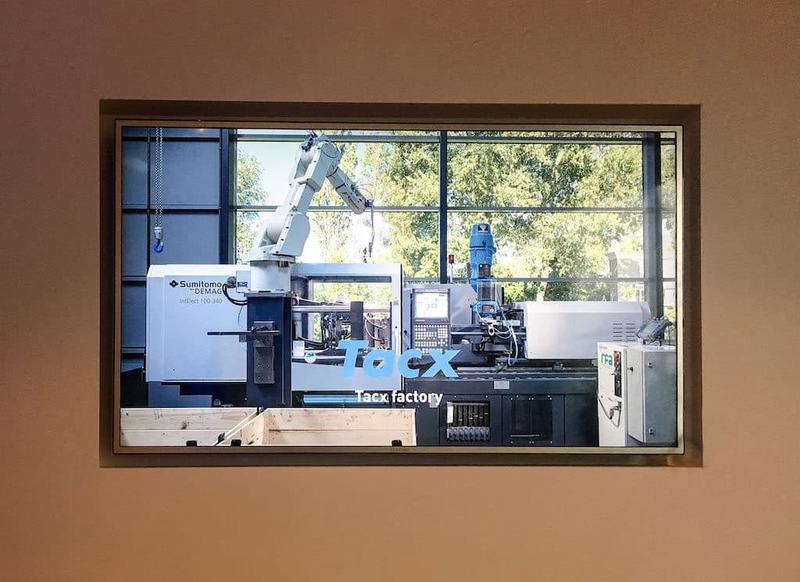 The close nit approach to manufacturing is something which was raised again and again during my visit, and is something that Tacx as a company clearly values, and is now bringing to bare to increase the quality control checks on their products. 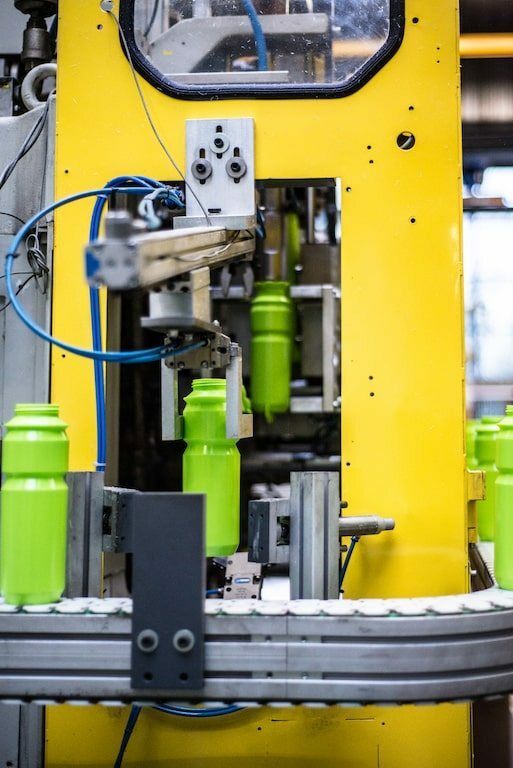 Unfortunately whilst I was in the factory, only the Android Tacx app had been updated to be able to access the new firmware functions, so I wasn’t able to update my iPhone to be able to test it at home – but it certainly looks like a very interesting new field for Tacx to explore – medical devices. The explanation here is a simple physics one apparently, and is merely to do with resistances and force applied. The example I was given was that you would get the same slip if you try to push a full cup across a table – initially, nothing happens, and then as you increase pressure, and overcome the early inertia you get a slip, then smooth movement. This is not a failure in the unit, but a characteristic of electromagnets, and physics. Now I would have expected this to have been a slightly sticky question, what I didn’t expect was that Martin would crack of huge grin and laugh. 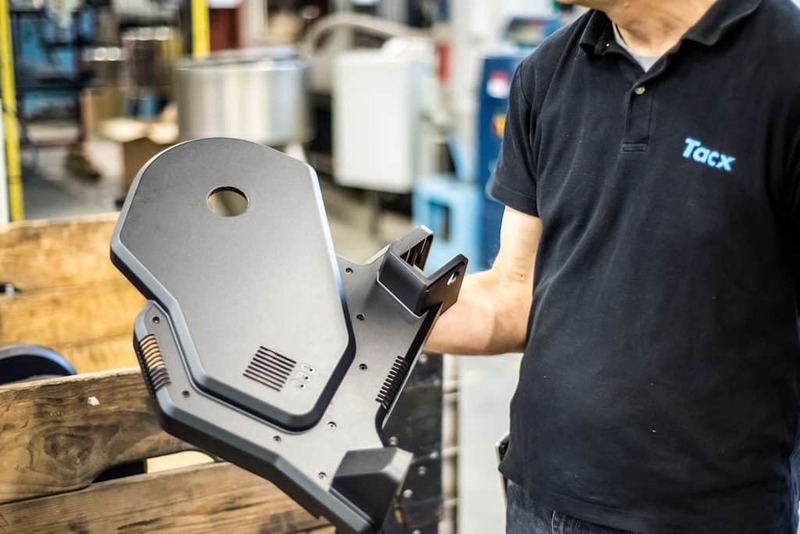 Martin explained that they burn in the capacitors on each Neo at the factory putting a current directly into the units, which would be comparable to 500watts of effort. The smell some riders have commented on, is that same capacitor burn in occurring when the rider generates higher wattages than that factory burn in. It is a completely normal aspect to new capacitors and should pass after a few minutes. The issue is, that at home not many riders are going to be able to maintain in excess of 500watts for a few MINUTES. A result the burn in at higher than 500watts takes longer in the home environment. Martin has argued that they should be putting greater current into the trainers, to burn in at a higher power in the factory, but apparently this is limited by the current delivered to the factory by the electricity grid, and it was not felt to be cost effective to increase the current available in the factory for the narrow use case. “Given the Neo has a steering accessory, any plans to update it and thereby giving us hardware steering in Zwift? 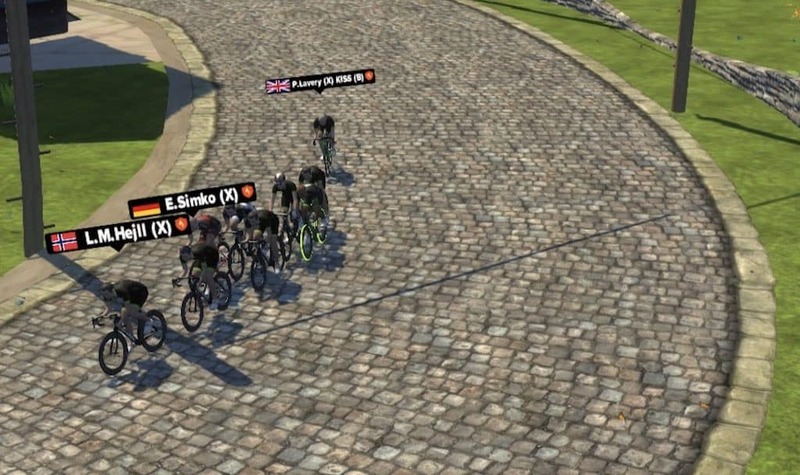 We discussed the current Tacx steering module, which they feel could be adapted on the Zwift side as an input, but the current ANT+ FEC codes do not contain instructions for steering, although Tacx has proposed this initially. I thoroughly enjoyed my time visiting the Tacx factory. I had fully expected it to be an interesting and enlightening day, but I did not expect the enthusiasm of the people working there. Every aspect of the factory has a buzz to it. Three generations of the Tacx family work in the business that Koos Tacx gave his name to in the 1950’s. 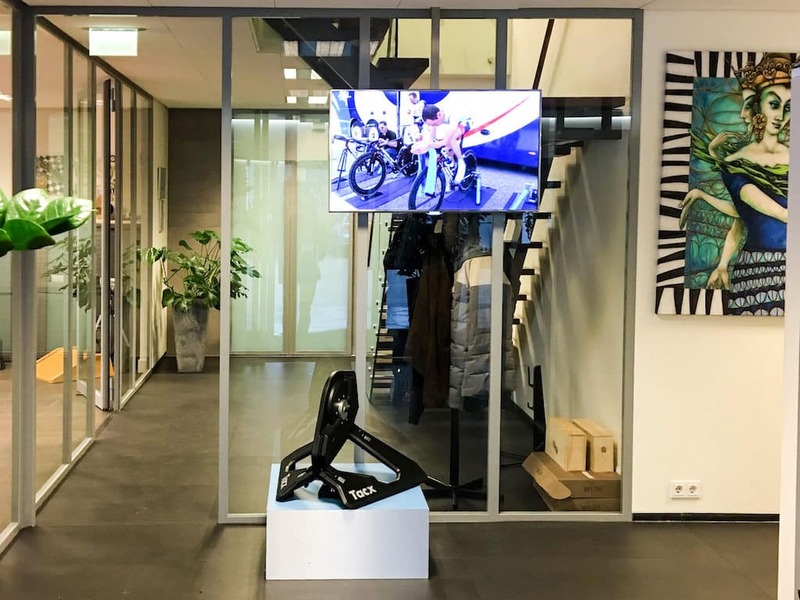 During discussions with Sven while touring the facilities, I was told how Koos Tacx and his wife are still actively involved in the running of the company, and that getting the Tacx Magnum market has been a personal quest for the founder. I must confess to feeling a little sceptical that either the Octagenarian or his wife were really working in the business most days. So I was a little taken aback to see the venerable Mrs Tacx hanging up her coat, and heading into her offices after her lunchtime break. Seeing Mrs Tacx still engaging with day to day business in the Tacx factor confirmed just how true the statement that this is a family business is. The company filled with people who love and are dedicated their job. The taking pride in the products they design, build and produce is clear not just marking hyperbole! 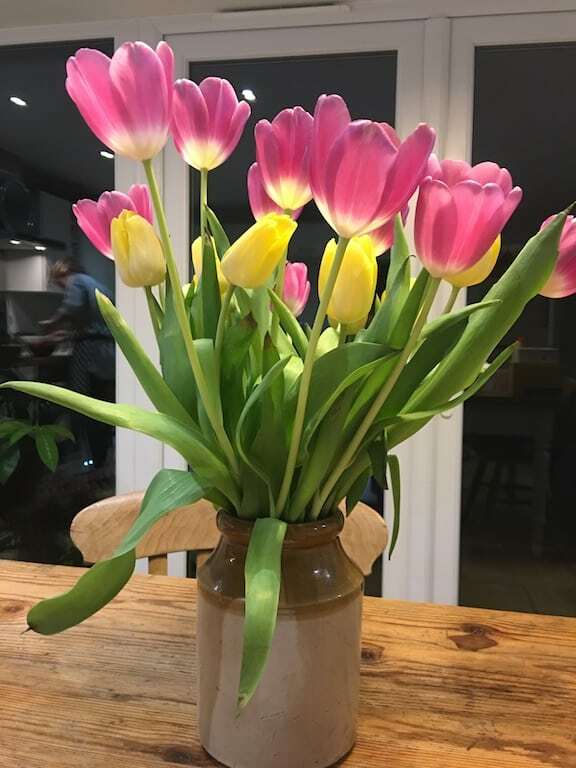 Oh yes, as a final note, of course being in Holland, I did see a few Tulips, which earned me a few brownie points bringing them home!